The Puffin colonies of Noddy Island and Green Island (a.k.a. Green Rock) seem to be on the increase. 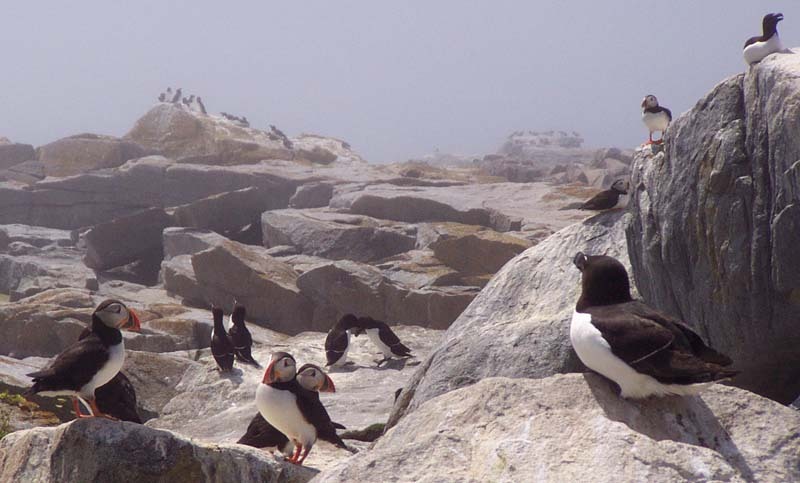 On August 8, at least 80 Puffins were counted on Noddy Island. Four more were seen at nearby Round Island as we motored by. 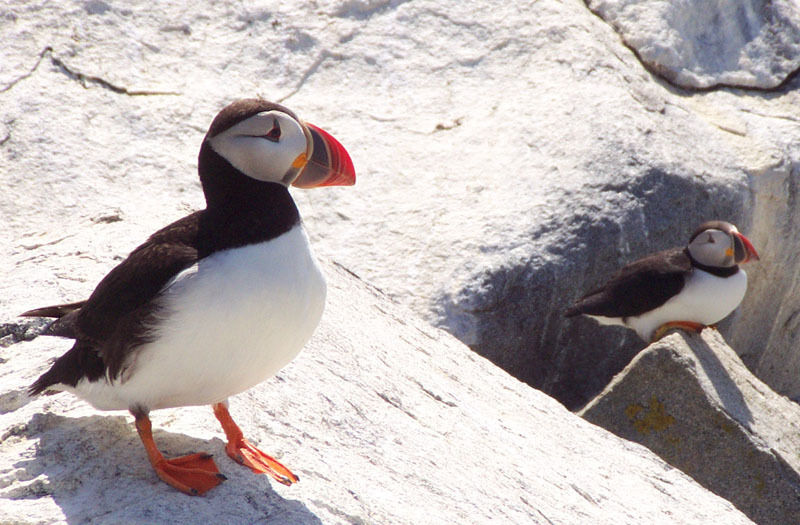 We estimated about 75 Puffins at Green Rock on August 16. On Aug. 5, I set up a tent on Noddy I., above the Puffin nesting area, to use as a temporary blind. I was looking for Puffin leg bands. After about one hour, only 3 Puffins allowed me to check their legs with the spottong scope. 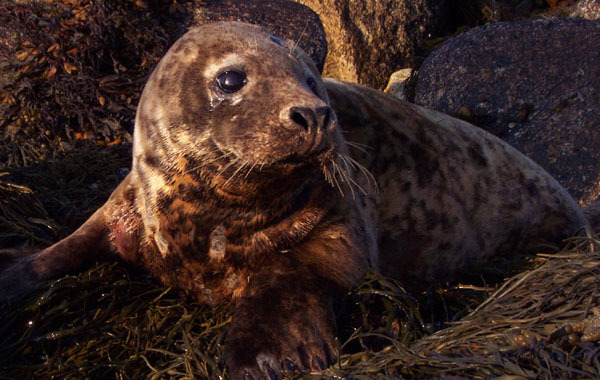 One of the three carried a gray, aluminum band on its left leg. I returned to the island on Aug. 8 to see if I could check out more birds. My limited time there was not fruitful.